First on, last off. Whether on water or land, at play or at work, this is your one constant buddy. The Huk Logo Trucker combines the classic trucker cap with all of our technologies. Unstructured cotton twill front for comfort, curved bill to keep the sun out of your eyes, breathable nylon mesh back to keep from over heating with a low profile and snap back for the customized fit ever time. First on, last off. Whether on water or land, at play or at work, this is your one constant buddy. 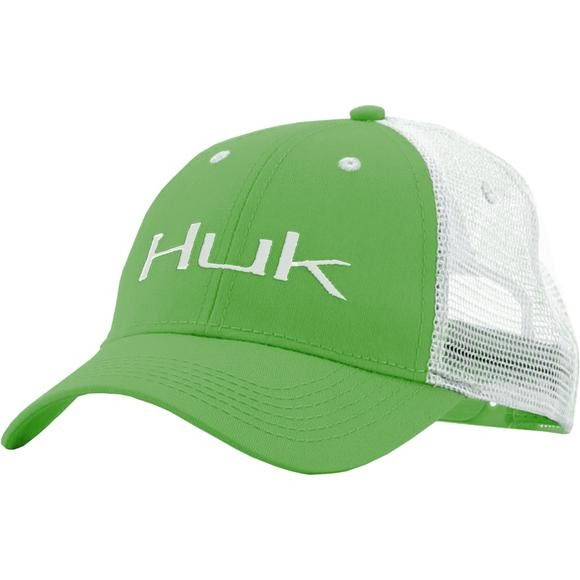 The Huk Logo Trucker combines the classic trucker cap with all of our technologies. Unstructured cotton twill front for comfort, curved bill to keep the sun out of your eyes, breathable nylon mesh back to keep from over heating with a low profile and snap back for the customized fit ever time. The perfect thing to put on with whatever you are wearing. Show your pride in what you are with this badge of honor, the Huk Logo Trucker cap.